Rock island (~14x14) surrounded by lava. Up to 10 players (north west vs. south east) - metal income adjustable. Licence: Scripts GPL 2.0, map CC BY 3.0. Credits: Skybox - Beherith. Detail textures - Beherith, jylhis (http://jylhis.deviantart.com/). Volumetric clouds - Anarchid, jK. Lava - The_Yak, Knorke, Beherith, Anarchid, Audionautics, e__ (freesound.org), Kloot, [BoS]nixtux. Using map blueprint by jK. In terms of gameplay, the terrain obstacles are wide and high enough to block skirmisher and artillery fire and allow shorter ranged units to use them as cover. - metal spots should contrast more with the terrain (for example, brighter center and darker outline). I also dislike the purple color. Weapons explode on lava with water CEG (there's a relevant fix on the engine https://springrts.com/mantis/view.php?id=5993). Either way, an idea would be to not use water at all, use terrain type speed modifiers to stop units from going into it and apply the damage through lua instead. Looks great! 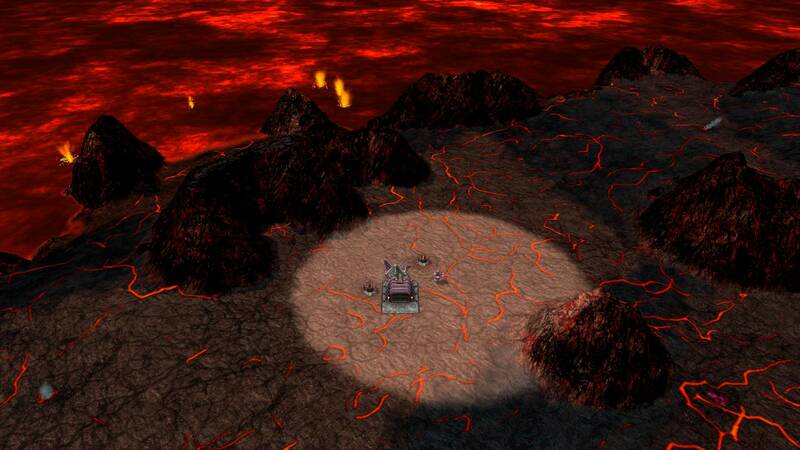 I wished that there were more lava maps! Anakin I've got the high ground! Please report any issues with regards to new lava look on this map (Low FPS, compilation errors, visual artifacts, etc.) in this thread. How come speedmetal is good enough to be whitelisted in public hosts, but maps like this one are not? Because I missed the release. Supported. That looks beautiful, and other than the coastal cooking the overall design looks good. I dislike the loud rumbling sound that permanently plays over this map. https://shaderfrog.com/app/view/2664 (note the look when camera is tilt or turner). These two concerns make me hesitant to put efforts into changing the way lava is drawn. I wonder if there's some statistics of what GPU/drivers/maximum OpenGL version ZK is run on? This is also important, because newer version of engine (105+ I think) will only run on modern OpenGL implementation and it might make sense to figure out what percentage of the ZK community might be left out in the cold. I'd love to see some experimentation with shaders. Even if it doesn't run on every client yet. Dammit 36% is freaking lots. I was genuinely hoping to hear something one magnitude lower. 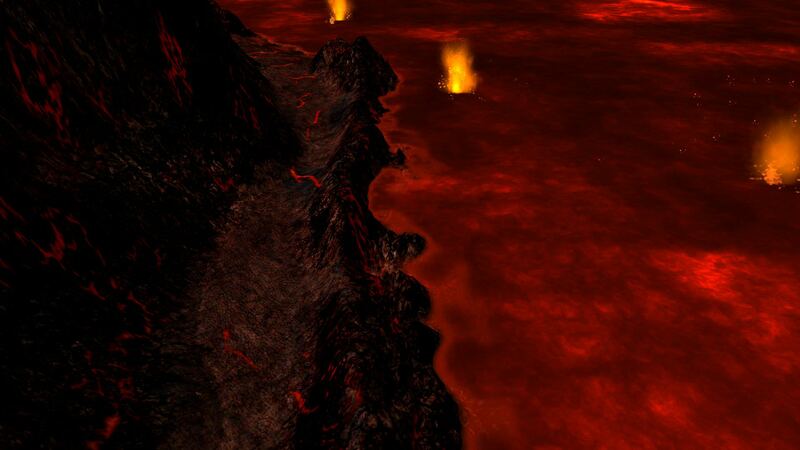 Graphic effects ofc don't need to be synced, so a fallback to primitive lava effects can be established. Overall, let's see if I can find some time and motivation to put the stuff together. If you want to use features of the non-maintenance engine then there is no such thing as unsynced graphical fallbacks. Using features of openGL 4.x sits atop a massive chain of dependencies. Get people to test the beta branch. Apply the new engine and have it stick without issues. Figure out whether the 36% value is real, or some driver/spring issue. If the value is not real then report and fix the issue. Rewrite most of the graphics and UI of ZK to be compatible with non-maintenance. Extensively test and report issues about non-maintenance. Featured (partially on probation, people may find the visuals a bit in-your-face). 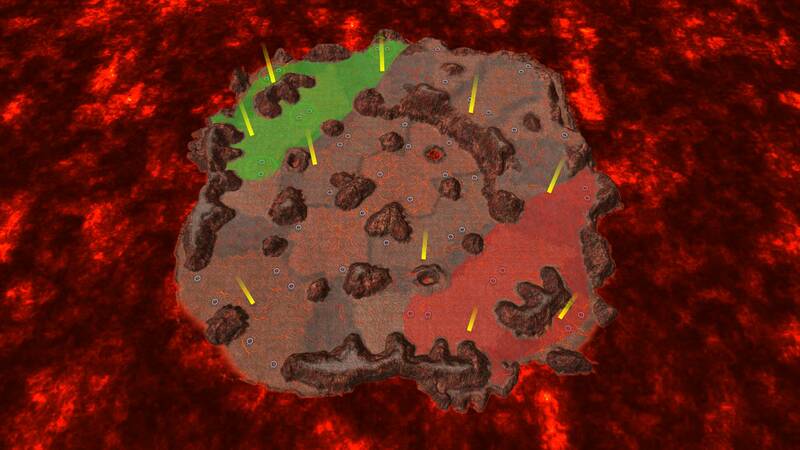 I think cooling the orange lava trails in the flatter regions of the map would do the trick for reducing the noise.